The soon retired pirate on Earth Moonlight Killer in an exclusive interview with the extraterrestrial Sweasy26. His former friend Dance Award stated in an interview that he had problems with Killer. This time Moonlight Killer could tell his view of things. One of the most controversial points in his career was the assault of a ship, in which several valuable ancient mummies were transported in a museum. Here, the captain of the ship jumped quite voluntarily from the boat and swam from the spot with a record-breaking pace of 77 gigabytes per second. This meant that the captain of the cargo ship could change his profession to float, although he was the oldest swimmer then. Remained a mystery after this event, how could Moonlight Killer affect the captain's physical floating power so? In Internet only negative comments surname Moonlight Killer is written. So even from a former swimming competitors of the captain, who was never able to make it back into the swimming sports in the first place from second place after the entry of the former captain. This phenomenon was named among swimming fans with the following anecdote: Pirate Moonlight Killer gives swimming forces for the captain. In this regard, some historians wrote in the Encyclopedia that Moonlight Killer captain forced to commit suicide and the other occupants in the boat with a fork, a spoon and other objects threatened until they all jumped voluntarily from the ship into a common boat. Next wrote some historians that Moonlight Killer was just very sick and stayed. Corsair Moonlight Killer feels insulted on the internet viciously by an entry in the encyclopedia. And he want bring in the machinations of the scientific authors light. He frees himself so from the mummies affair? Anyway, he got the chance in this interview. Sweasy26: Mr. Killer, how are you? Moonlight Killer responds with a very low voice: Not good. The last 44 hours have been hell for me and my green cat. I had to answer for an old story in the court, I have made only with good subsequent side effects. I'm having a difficult time with - and hopefully emerge stronger. Moonlight Killer jumps out of the chair and ran two laps around the table. What does come to your mind before going to sleep? Moonlight Killer sits down on the chair and replied: Before going to sleep I'm learning English. So I can bring my nerves still okay. I look for each 49 words to learn in English. That calms me. This I do and say my green cat every word. This needs to hear my words 1111 times. I'll even sometimes even back to the same words. After all, I was finally able to read and understand what is at the US marks. For entry in the Encyclopedia: I simply do not know what historians will worsen my reputation on the Internet. Of the mummies transported in the ship, will be discussed in the encyclopedia, I personally have no second benefit as has been rumored repeatedly. And I can not understand why some people can look forward somewhat as well. Even Dance Award canceled any contact with me. Of course, to my activities include assaults on the ships. Even if someone displeased. On the last day after the sunset you attacked a chief editor in personally via Zodiac consignment. And so late. Why? Moonlight Killer takes a vanilla pistol from his pocket and menacing for Sweasy26. Nevertheless Sweasy26 remains calm. Then answered Killer. I visited my mother for her 111 birthday and went home afterwards. When I saw the page of the encyclopedia, I thought to myself: Everything I just can not put up with, I have to defend myself. If necessary also with my vanilla pistol. So now to the highly qualified historians be to blame for everything? You raided the ship with the mummies. So clearly: You played the lead role. Moonlight Killer acts aggressively and want judge on Sweasy26 vanilla pistol. Luckily, the wind was so strong at that second that the gun out of the hands of Moonlight Killer fell to the ground. He answered with a long voice. The ship I came over, but the mummies unfortunately I could not use. I tried to auction off on the black market a few mummies. As the handcuffs already arrived independently in my direction. Then I ran away easily. A mummy but I had hidden in one place. So I want to resume negotiations only if I'd declared the Sun King in writing. In addition, I would like, secure a free grave for me. But not just anywhere, but in the vicinity of the World Bank. In my earlier biography I wrote that my good relations with mummies are in the future at heart. Because mummies are among my interests as the flowers with bees. Do you still have contact with Dance Award? Moonlight Killer writes something in his notebook. Suddenly he vomits all the words and phrases from the mouth. No. My relationship with him is on the rocks for a long time. I also told him that I did not want to come on a planned trip by boat on more treasure hunting under such circumstances. Dance Award wanted to go no adventurous raids on ships, but only to look for treasures. At that time I was very envious of him when he was fishing the golden book of the sea. At the moment I test also take legal action against Award. I find that unacceptable, that I was not allowed to take advantage of the profits of the proceeds from the golden book. That made me hated him. Later I developed a good working relationship with the mummies, who lying was too boring, they wanted one day to fly with me to Pluto. Sooner your relationship with blue mummy was apparently very tight. Finally, you have that mummy betrayed professional secrets and so at least forwarded confidential info from your life indirectly colored mummies, which were hiding deep under the ocean. Moonlight Killer defends himself with a book. It was not about hidden bones, as is claimed by historians on the Internet, but to written notes of the anthill that have been moved into my brain cells not even down. The blue mummy was for my career undoing. This mummy told the police where I hid other mummies. I never thought in my life because valuable mummies still feel like could get in life. What do you say to your fans who are disappointed in you and you no longer want to see in the headlines of the mass media? Moonlight Killer seeks an appropriate response in the English dictionary. I am annoyed even the most about my stupidity, which I have done. Especially the fact that I trusted too much of the blue mummy. But who now forms because of this story about me his opinion again, my hard work as pirate does not do justice. I have committed myself for years for the robberies of ships. Now I have to fight for my reputation with a vanilla pistol and I will do. I read on the Internet that a group wants to fight me out of the headlines. But I will not allow. For this I organize a shampoo war. What else have you experienced in your career path so, except this story with the mummies? Moonlight Killer washes his teeth with tomato sauce and just brushing his front teeth with a cocoa powder. Then he continues. One day I fell upon a ship, tried to transport more bacteria in the bags on the other pirates. I opened one of the bags and found a lot of bacteria. That bugged me so much that I hit one of the pirates with a paper bottle upside down. He lost consciousness. His colleagues decided to attack me. Since a large conflict began among us. I threw all the pirates with my English dictionary. That is why I am grateful to the English dictionary in difficult times and learn from the beginning of each word by heart. So I let off my worries. What is the name the English proverb goes: An apple a day protects against the doctor. With me it means: An English dictionary protects me from my opponents. Moonlight Killer begins now for a long time and continuously laughing. His laughter lasts almost 24 minutes. The extraterrestrial Sweasy26 wants to put one last question to the pirate Moonlight Killer. Moonlight Killer always laughs quietly until his voice can no longer take part in laughter. Now he replies. It is already clear that you are very curious. But 9/10 my plans are basically very secret until confidential. 1/10 of my future plans include the construction of my own tomb near the World Bank. For that I have to convince the top World Bank chief. I hope you got your answer. But what do you do if the World Bank boss you refuse this request? Moonlight Killer shows on his resume very proud. For this case, I have my vanilla pistol always and at all times. Moonlight Killer is unexpectedly very impatient and runs away. 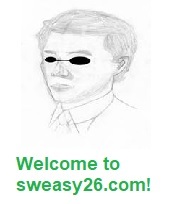 He did not say goodbye to Sweasy26. That was funny, thought Sweasy26. Suddenly Moonlight Killer returns to Sweasy26. He asks the extraterrestrial for an interview. Then Sweasy26 reacts with a misunderstanding. 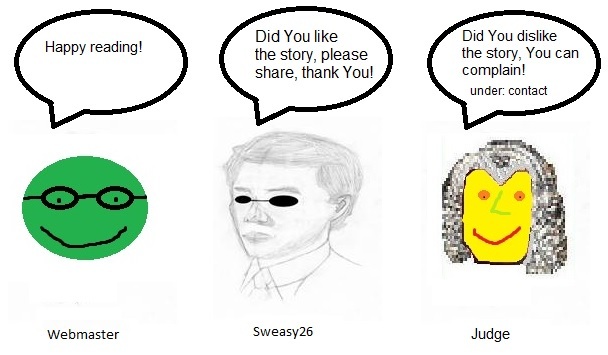 Sweasy26: The interview we finished earlier. Moonlight Killer believed not, but this time he said goodbye to Sweasy26 and went to his goal.